First Lady Fazna Ahmed has stated that our nation is in need of respect, humanity, kindness and tolerance. 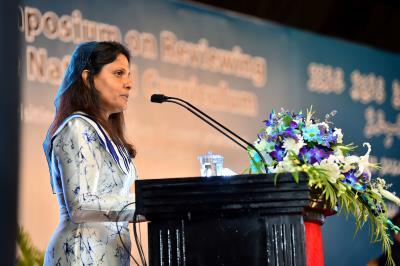 The First Lady made this remark while speaking at the opening ceremony of the symposium on reviewing the national curriculum held this morning at Dharubaaruge. At the event, the First Lady advised the participants of the symposium to prioritise the instillment of good values and principles in students. She stated that education does not only take place within the confines of the classroom and urged all educators to set positive examples for students through their everyday actions. 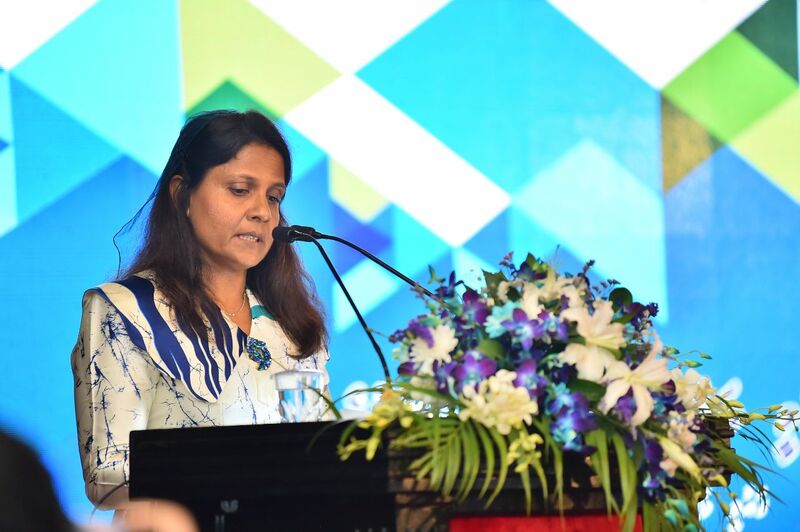 She noted that the symposium will play an important role in bringing meaningful change to the Maldives, through the discussion and incorporation of principles required to develop young people and citizens who can contribute to the development of the country. During the ceremony, the First Lady shed light on the importance of teaching students critical thinking and to teach students how to question things from different perspectives. Speaking at the ceremony, the First Lady appealed to all teachers to provide a safe environment to all students. In addition, the First Lady appealed all participants to understand that the task at hand was of national importance and to follow through with sincerity and good will during the symposium. Reviewing the national curriculum is one of President Solih’s electoral pledges included in the 100 working days program.